A.J. Brown perfected his bread recipe about five years ago. A.J. 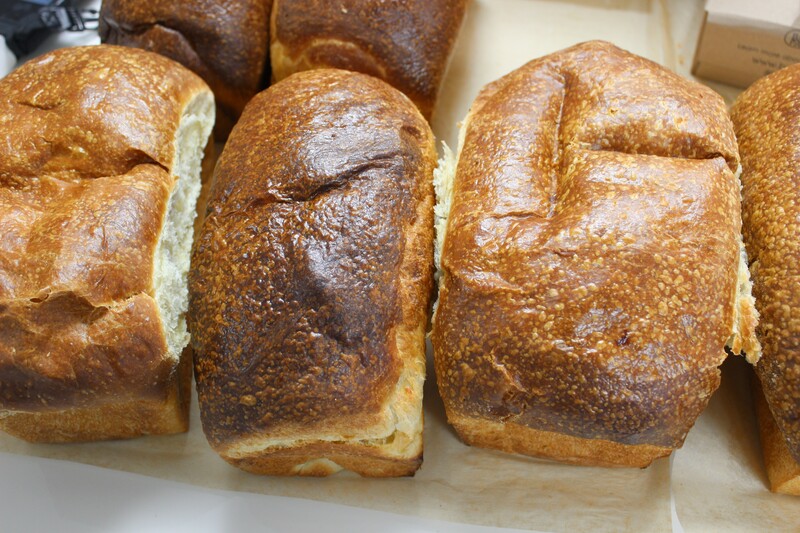 and Kirsten Brown started selling sourdough and brioche loaves at farmers’ markets in St. Charles county about three years ago. A.J. says, “We decided to take another step to test the waters to see if the community wanted to support us." It did: Their Kickstarter raised about $30,000 in 30 days. Knead’s soft opening November 18 and grand opening a week later were met with lots of local support. “From the local community, we’ve seen an impressive turnout," A.J. says. "It’s really cool to see how supportive this little Lindenwood Park area is." Knead’s location used to house Salume Beddu. Kirsten Brown has transformed the space into a bright, open cafe with of-the-moment succulents, shelves, industrial stools and a felt-letter board menu. 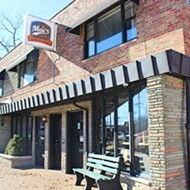 Knead is located off Hampton Avenue in the Lindenwood Park Neighborhood. Despite the focus on bread in both the name and the partners' impetus, Knead offers far more than just loaves. There is plenty of cafe-style seating; customers can order breakfast or lunch on the counter or just get baked goodies to go. 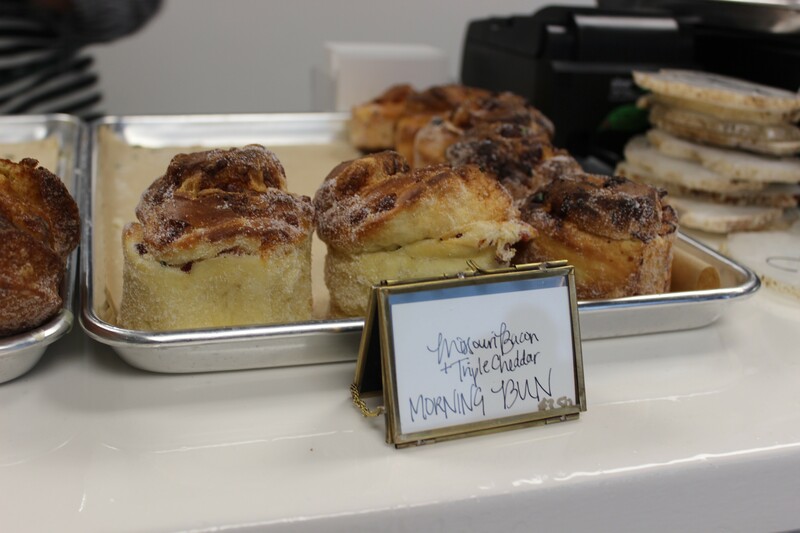 Knead’s breakfast menu features brioche, donuts, morning buns, seasonal juices, loose-leaf tea and locally made coffee. 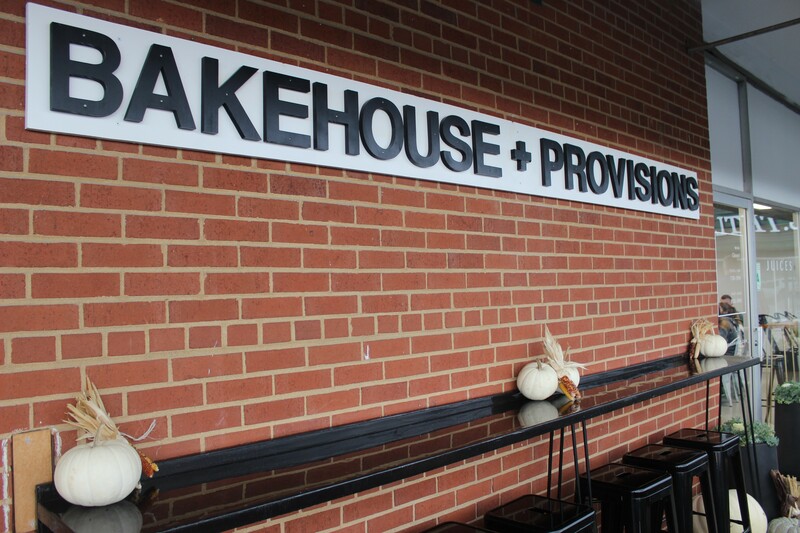 At lunch, the Browns offer house-made botanical soda, plus a small selection of sandwiches, soups and salads. They plan to double their menu offerings in the next six months. Prices aren't cheap, but they reflect the Browns' commitment to quality. 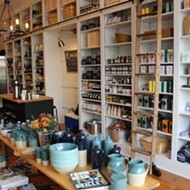 “We are really focused on the intention of our ingredients," A.J. says. 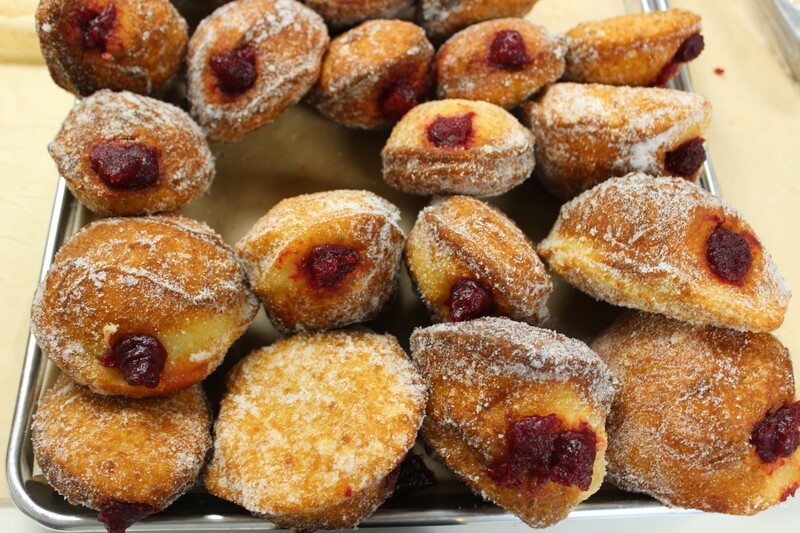 "The reason our donut costs $3 is because we really care about each thing that goes into it.” They use pasture-raised eggs from Missouri and all organic flours, and make everything from scratch in-house. 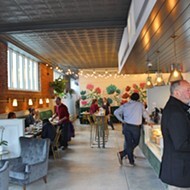 In addition to expanding the menu, the couple also plans to start offering prix-fixe pop-up dinners in the next six months. Until then, though, the cafe is open from 7:30 a.m. to 3 p.m. Tuesday - Friday, and 8 a.m. til 3 p.m. Saturday and Sunday. Scroll below for more photos. Cheddar and bacon morning bun. 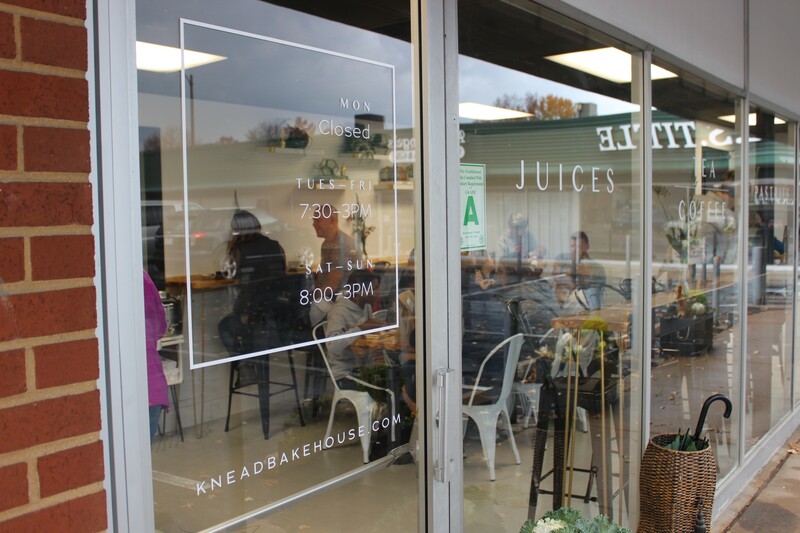 Knead has a small amount of indoor and outdoor seating. 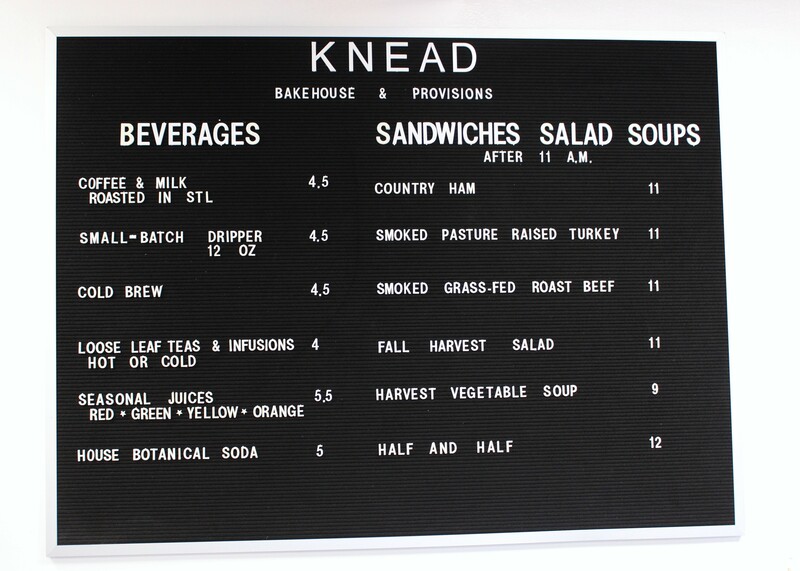 Knead has a small menu but plans to expand in the next six months. Editor's note: A previous version of this story misspelled Kirsten Brown's first name and also gave the wrong name for the company. We regret the error.